Say goodbye to the PB & J because we’ve put together a packed lunch that might just knock your kid’s socks off! Drain chickpeas, reserving ¼ cup of the liquid. Transfer the chickpeas and the reserved liquid to a food processor. Then add garlic, rice vinegar, lemon juice, olive oil, cumin, salt and tahini. Puree until smooth, about 2 to 3 minutes. Transfer about 3 large spoonfuls of hummus to a small container, drizzle with olive oil, and save the rest for an afternoon or mid-week snack! 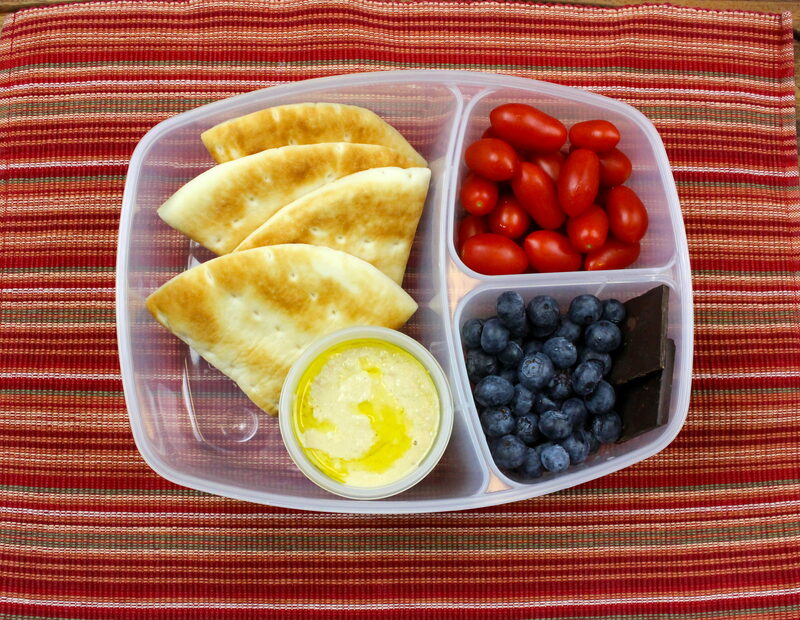 Place grape tomatoes, blueberries, dark chocolate, pita bread and hummus in desired lunch box. For an extra boost of flavor, drizzle Marukan Seasoned Gourmet Rice Vinegar over grape tomatoes.